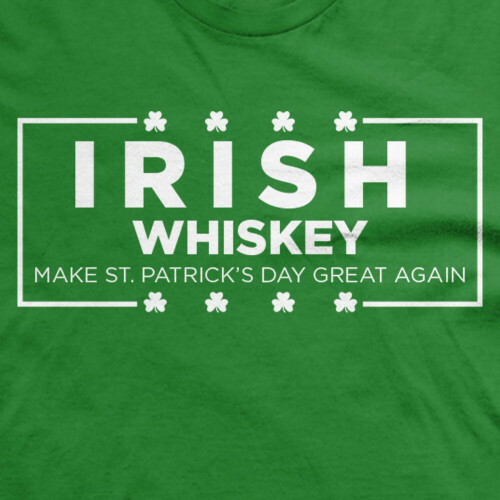 Done in the style of the Make America Great Again shirts that people either absolutely love or absolutely despise, the Irish Whiskey Make St Patrick’s Day Great Again t-shirt from Guerrilla Tees puts a festive Irish spin on the now infamous slogan. It features the instantly recognizable design style and is set on soft, comfy Emerald green fabric with easy to read white font and graphics. 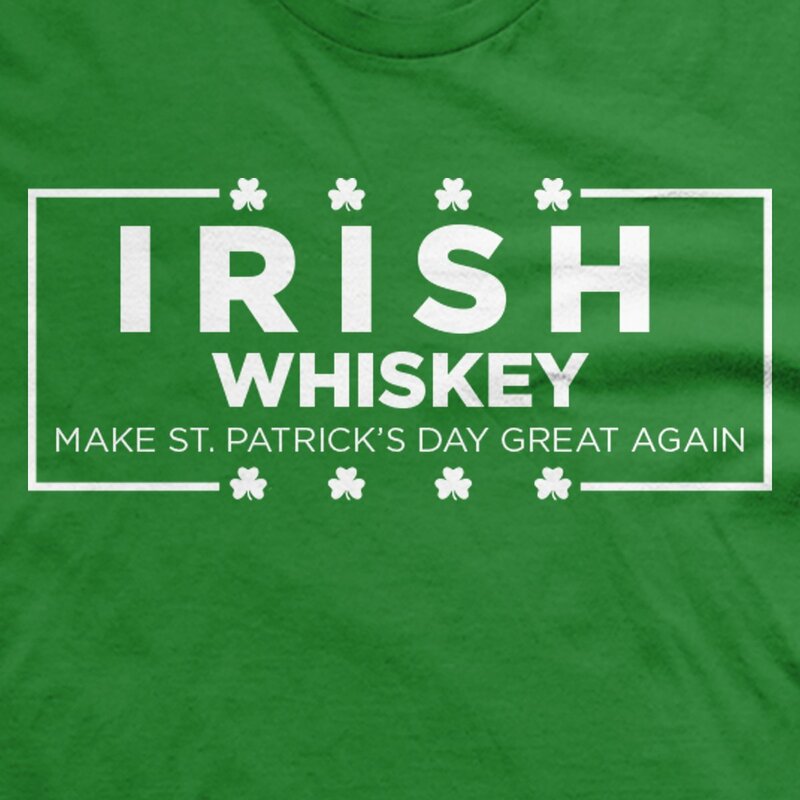 It’s all but guaranteed to turn a few heads this St Patrick’s Day, and is sure to make an interesting gift for friends on either side of the political spectrum. 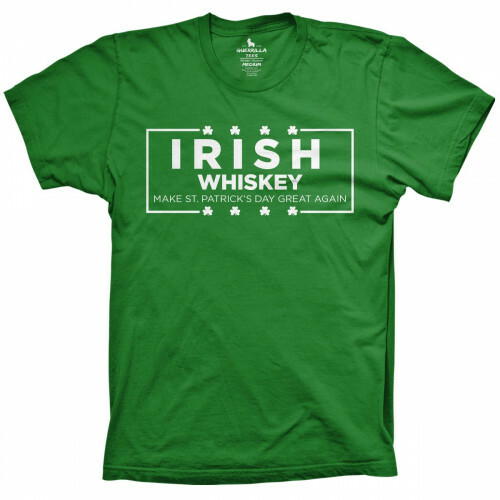 Looking for other funny St Patrick’s Day shirts for men and women? Guerrilla Tees is known for having one of the best collections of hilarious Irish and Drinking shirts for every occasion!